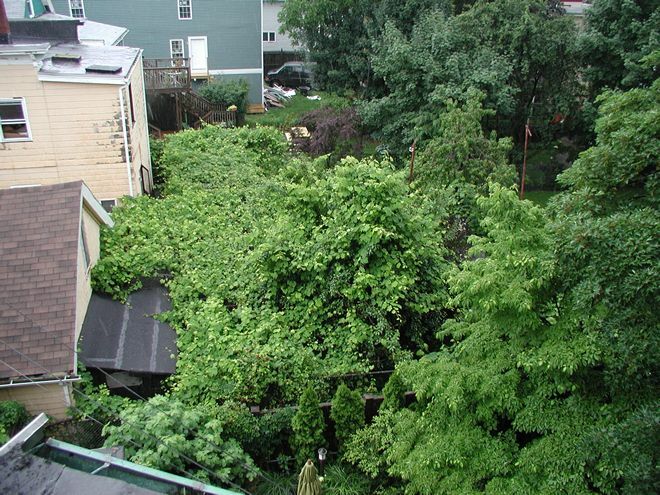 Lenny Giesta, for thirty-seven years, cultivated a farm in the backyard behind his home at 135-137 Elm Street. He grew apple, pear, and peach trees, a great deal of grapevines, and other things. He passed away in 2005. Below is a photo taken in July of 2009 of his untended work; click the photo to see a time-lapse slideshow of subsequent development. This slideshow was done by InmanSquare.com to memorialize Lenny and his work and to exemplify urban development in Inman Square.